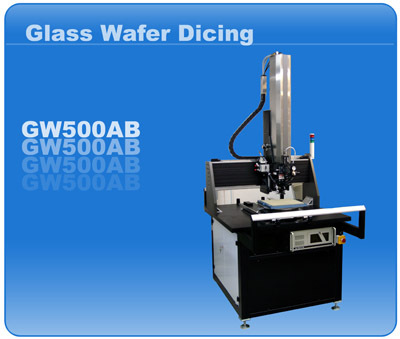 The GW500AB is the latest generation of precision ZWLCTTM laser Glass Wafer Dicing system for IR and CF camera windows, micro displays and other demanding applications. Glass Wafer Dicing Time 3.5 min. Material: Glass 0.3 -0.5 mm thick. Wafer size - 12" max. 4 axis direct drive servo platform. Total Matching Applications: 138, Displaying 1 - 3. Sign up to recieve news and updates from Fonon DSS! Contact our staff or request a quote.